Patricia A. (Sabota) Leperi, 85, of Bethlehem, passed away November 19, 2018. She was the loving wife of the late Dominic F. Leperi. Born in Bethlehem, she was the daughter of the late Andrew and Veronica S. (Havach) Sabota. Patricia worked for John D’Cio Realtor and then for Fairmont’s Apparels before retiring. She was a member of the former SS Cyril and Methodius Catholic Church and a 50 year member of the Slovak Catholic Sokols. Survivors: son- Dominic A. Leperi and his wife Deanna; grandchildren- Dylan, Dominic and Sophia; nieces & nephews. She was predeceased by her sisters- Theresa Groeller and Rosemarie Donchez. A calling time will be held Monday, November 26th 10-11AM with a Mass of Christian Burial to follow at 11AM in Incarnation of Our Lord Catholic Church 617 Pierce St. Bethlehem, PA 18015. Inurnment to follow in Bethlehem Memorial Park. Arrangements entrusted to Downing Funeral Home, Inc. In lieu of flowers, contributions can be made in Patricia’s memory to Incarnation of Our Lord Catholic Church. Edward A. LaChapelle, 92, of Bethlehem, passed away September 13, 2018. He was the loving husband of the late Jeanne M.(Trainor) LaChapelle. Born in Chicago, IL, he was the son of the late Edward A. and Evelyn M. (Kolb) LaChapelle. Ed served in the U.S. Army Air Corps during WWII. He graduated from the University of Illinois with a B.S. in Electrical Engineering. Ed retired after 35 years as an engineering manager for Western Electric / AT&T. He was a member of Notre Dame of Bethlehem Catholic Church and their 55+ Club. Ed was a member of the Pioneer Club, and organized a continuing education program for seniors at Cedar Crest College. He enjoyed gardening, skiing, food, bowling, bridge, travel, body surfing, coaching children's activities, and cheering on his grandchildren in all of their endeavors. He will be remembered fondly by his children Linda (Jack) Gray of Bethlehem, Edward D. (Zelda Ziegler) of Bend, OR, Richard J. (Dana) of Wilmette, IL, Mary B. (John) Kozma of Bethlehem, John T. (Yifong) of Foster City, CA, Leslie Young of Wayne; grandchildren Michele Gray, Shannon (Jef) Flounders, Jake LaChapelle, Sarah Stevens, Alexis (Thomas) Griffiths, Matthew, Daniel (Elizabeth), Kathryn, and Samuel LaChapelle, Sean, Liam, and Lucas Young; 7 great grandchildren; and his sister Betty Ryan. A viewing and mass will be held on Tuesday, September 18 in Notre Dame of Bethlehem Catholic Church, 1861 Catasauqua Rd, Bethlehem. Viewing starts at 9:30AM and mass will be held at 10:30AM. Burial will follow in Holy Saviour Cemetery. In lieu of flowers, contributions can be made to the Center for Independent Services in Evanston, IL, or to JDRF (Juvenile Diabetes Research Foundation) care of Downing Funeral Home, Inc. in Bethlehem. Survivors: sons- Douglas Leh of Center Valley, Glenn C Leh II of Bethlehem, Glenn C. Leh and wife Tammy of Northampton; numerous grandchildren and great grandchildren. She was predeceased by her son- Carl H. Leh III. A viewing will be held on Thursday 6:30-8PM and Friday 9-10AM with a service at 10AM at Downing Funeral Home, Inc. 1002 W. Broad St. Bethlehem, PA 18018. Burial to follow in Highland Memorial Park, Allentown. Contributions can be made in Carolyn’s memory to Rosemont Lutheran Church 1705 W. Broad St. Bethlehem, PA 18018. Helen Lewis, passed away May 29, 2018. A Mass of Christian Burial will be celebrated on Monday, June 4th 10:30AM in Ss Simon and Jude Church 730 W. Broad St. Bethlehem. Burial to follow in Holy Saviour Cemetery. Frederick F. Leiderman, III, 64, passed away, at home, December 13, 2016. He was the loving husband of the late Linda Y. (Snyder) Leiderman. Born in Bethlehem, he was the son of the late Frederick F. Leiderman Jr. and the late Dorothy (Keen) Marcincavage. Frederick worked as a custodian for the Bethlehem Area School District. He was a member of the Westside Republican Club, the Jefferson Democratic Club and the Rosemont Fire Co. He was an avid NASCAR fan and enjoyed deer hunting. Daughter- Tiffany Kocher and husband Russ of Northampton; Son- Frederick F. Leiderman IV and wife Kira of Bethlehem; Grandchildren- Chase, Freddy and Emma; Sister- Linda Hoffman of Bethlehem; Brothers- Charles and John Marcincavage both of Fleetwood; Step-Father- Charlie Marcincavage of Fleetwood. A viewing will be held Saturday 10-11:30AM with a Service at 11:30AM in Downing Funeral Home, Inc. 1002 W. Broad St. Bethlehem, PA 18018. 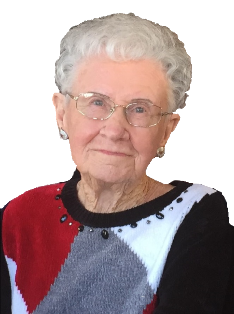 Jean N. (Pierson) Link, 82, of Bethlehem, passed away on her birthday October 24, 2016. She was the loving wife of 59 years to Richard Link. Born in Freeland, she was the daughter of the late Harold J. and Elva (Hinkle) Pierson. Jean graduated from St. Luke’s School of Nursing. 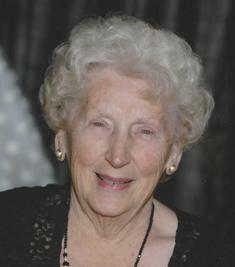 Jean’s greatest joy was raising her children and grandchildren. Husband- Richard Link; Children- David Link of Bethlehem, Steven Link of Bethlehem, Cynthia Evans and husband Richard of Bethlehem, Paul and wife Angela of Kreidersville, Matthew and wife Theresa of Schnecksville; 9 Grandchildren; 6 Great Grandchildren; Sisters- Alice Skillman of Middlesex, NJ and Carol Quick of Monroe, NY; Sister-in-law- Mary Pierson. She was predeceased by her sons- Richard and Timothy Link, Grandson- David B. Link, Siblings- Albert and Elva Lychek. A viewing will be held Friday 10-11AM with a service at 11AM in Downing Funeral Home, Inc. 1002 W. Broad St. Bethlehem. Burial Private at a later date. 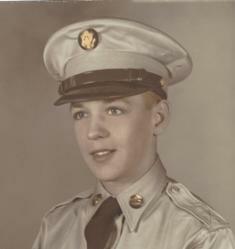 Joseph M. Long, 85, of Las Vegas and formerly of Bethlehem, passed away January 28, 2016. He was the loving husband of 56 years to Angela (Simonetta) Long. Born in New Jersey, he was the son of the late Irene (McIntyre) and Thomas Long. He served in the U.S. Army. Joseph worked for Bell and Howell for 27 years. Survivors: Wife, Son- Joseph M. Long and wife Mary Beth of Las Vegas, 2 Grandchildren, 2 Great Grandchildren, Sister- Irene Roslin. He was predeceased by his son- John Long. Services: A viewing will be held on Thursday 6-8PM in Downing Funeral Home, Inc. 1002 W. Broad St. Bethlehem, PA 18018. Mass of Christian Burial to be celebrated Friday at 10AM in Notre Dame of Bethlehem Catholic Church 1861 Catasauqua Ave Bethlehem, PA 18018. Burial to follow in Holy Saviour Cemetery, Bethlehem. Contributions: Contributions can be made in Joseph's memory to the Alzheimer's Association. Marie A. (Kotran) Lund, 86, of Bethlehem, passed away October 9, 2015 in her home surrounded by her loving family after a brief illness. She was the loving wife of the late John Lund. Born in Allentown, she was the daughter of the late Paul and Genevieve (Seng) Kotran. Marie was a member of Saints Simon and Jude Catholic Church. 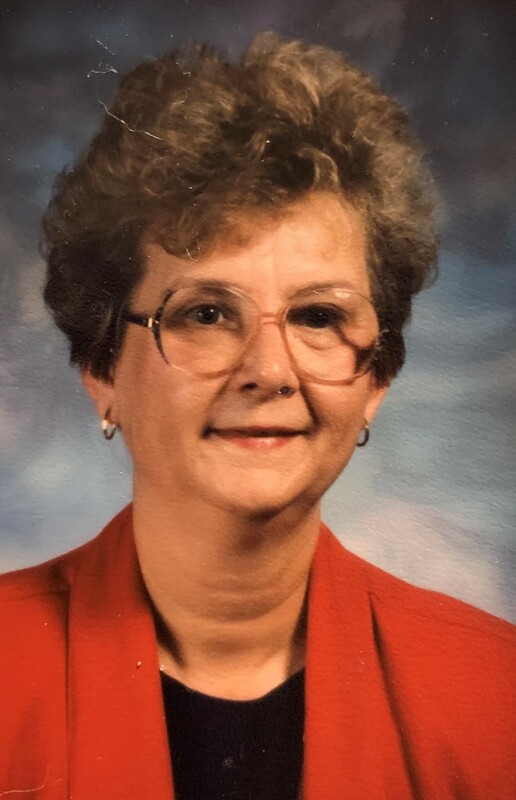 She began her career as an Administrative Assistant and retired as an Administrator of Holy Family Manor after 27 years of service. Children- John W. and wife Ceili Lund of Arizona, Richard M. and wife Arlene Lund of Bethlehem, Robert M. and wife Ann Lund of New Jersey, William G. and wife Kathleen Lund of Bethlehem, Marie Schantz and husband Dwight of Bethlehem; Grandchildren- Alex, Andrew, Benjamin, Jaci, Julia, Michael, Patrick, Kasey, Jennifer, Kelsey, Dwight, Eric, Anna and Katie; Great Grandchildren- Olivia, Sydney, Jake and Bradley; Sisters- Lucille Ring, Virginia Seaman and Kate Benkovic; Brothers- Paul and Steve Kotran. She was predeceased by her daughter- Judith Lund Pobuda and siblings- John, Robert and Richard Kotran and Barbara Turosey. A viewing will be held on Wednesday 9-11AM in Downing Funeral Home, Inc. 1002 W. Broad St. Bethlehem. Mass of Christian Burial will be celebrated Wednesday at 11:30AM in Saints Simon and Jude Catholic Church 730 W. Broad St. Bethlehem. Burial will be Private at a later date in Holy Saviour Cemetery. In lieu of flowers, donations can be made in Marie’s memory to Holy Family Manor or to St. Luke’s VNA Hospice.